We stumbled upon a great story a few weeks ago that deals with a first of its kind operation of a summer collegiate baseball team. Turns out that the Niagara Power is the first summer collegiate team to be owned and operated by a university. Based in Niagara Falls, New York and part of the New York Collegiate Baseball League, the Power had been in operation from 2007 until they shut down in 2015. Someone in the College of Hospitality and Tourism Management at Niagara University had the idea of acquiring the team and making it a laboratory for the students at the university. Some 25-30 students will actually operate the team, utilizing what they’ve learned in school from marketing to communications to the culinary arts. These students will be guided by the expertise of a handful of Niagara University professors. 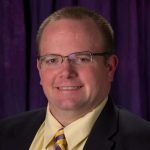 Visiting with us today on Top Coach will be the new director of the Niagara Power and a professor in the College of Hospitality and Tourism Management, Dr. Patrick Tutka. Follow Niagara Power Baseball on Twitter.